While the idea of increasing savings is one thing, actually doing it is quite another. If you feel you are already stretched with your finances, the thought of putting away even more may be daunting. While there is no one-size-fits-all way of saving more money, these tips are tried-and-true methods that have worked for people just like you. Some of them may apply to your situation more than others, but they all demonstrate how with just a little work and commitment, you too can save more money, enjoying the things you want in life. You’ll likely find some are easy to accomplish in minutes, while others may take some reprogramming of the way you think about spending money. Pick a few to get started and you’ll see that the benefits of saving far outweigh any lifestyle changes you need to make. Get started saving for the whole family with this ultimate guide. You need a budget to keep you on track when it comes to maximizing your savings. Start by collecting your receipts for a month or so in order to calculate how much goes out, and where. From there, categorize your spending into essentials, or what you need to survive, and non-essentials, what you can live without (and yes, that means that expensive haircut.) Survey your spending habits in each category, and start to remove non-essential spending before the essentials, creating a budget to implement going forward. No one says your budget has to be set in stone, so keep monitoring and tweaking it until you reach a comfortable balance between saving and spending. Now that you have your budget, you need to stick with it, and yes, this is the hard part. But with the right tools, you can ease the burden. 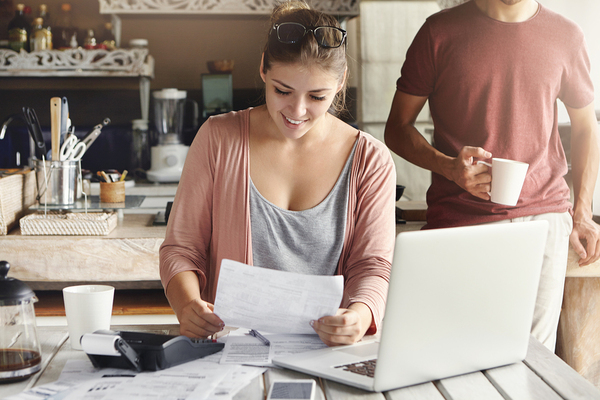 Everything from a notepad to an excel spreadsheet to a mobile app can be used to keep your finances in order; what is important is that you find a method that you’re comfortable with. Whenever you go to a store, make sure you have a list prepared. Impulsive buys are the ones that can tank your budget, so your planning will protect you from unplanned spending. Shopping lists are a must every time you go to a grocery store as they can help to curb extra spending – and your list will also protect your waistline from unhealthier splurge options. Take it a step further by using coupons and deals to help guide your shopping list. You’ll make sure you only get what you need with additional savings. Lists will help you calculate and plan shopping within your budget. When done right, purchasing the items you use most in bulk will end up saving you – not to mention you won’t have to worry about using the last trash bag for a while! The key to purchasing in bulk is only getting what you need; otherwise, you’ll have to find a place to store bulky boxes or cartons, and risk having to throw perishables away. For that reason, stick to things that won’t go bad – detergent and paper products are top choices. Start buying from generic brands when you can – it’s the same quality, just without the extra cost of a name brand. For healthcare, generic medications can cost 80-85% less than name brand versions, so always ask your doctor and pharmacist if this is an option for you. 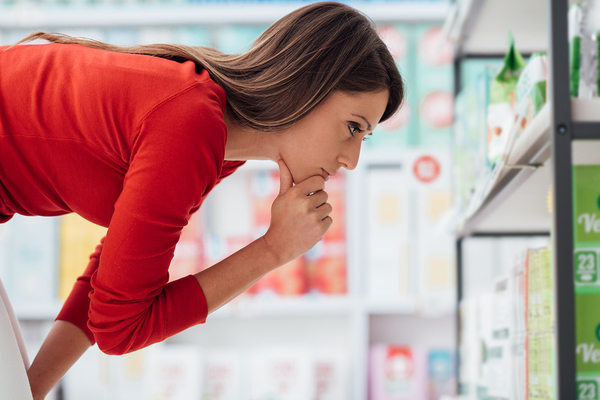 In grocery stores and larger retailers, look for the generic store brand when possible. With everything from large purchases to everyday groceries, stop and think before you buy. This is the reason shopping lists are so important – they force you to do the planning before you get to the store, so you aren’t susceptible to temptation. As a rule, try waiting 30 days before you make any big purchase. This gives you the time to get over the initial rush of wanting it, allowing you to measure out whether the cost is worth it. Whether you are shopping for something big or small, stop and make sure you really need it. If your method of increasing a savings account is transferring a random amount when you remember to, you’ll never see a substantial increase. Instead, set up automatic transfers and deposits directly to your savings account so that you never actually see the money go in there. If you use direct deposit for your paycheck, your employer can help you divert some of your paycheck direct to savings. Banks will also allow you to transfer a set amount automatically each month. Before you starting cutting up your credit cards, learn how to use them the right way. As a rule, never put more on your credit card then you can pay off in full – otherwise, you’ll get hit with that pesky finance charge. If you have a rewards card, only use it for big purchases when you already have enough saved to pay the balance immediately. The more you can use cash, the more you’ll avoid falling into a trap of credit card debt. If there is an item that you can’t afford through cash or debit, then it’s an item you’re not ready to buy on credit. Retail therapy might make you feel good, but getting hit with a large bill can only make you feel worse. Have a fail-proof method for reducing stress when you get overwhelmed so that you don’t do it with your wallet. Take a walk in the park or attend a free yoga class, whatever you have to do to make sure you don’t sabotage your savings because of stress. How much do you spend on bread every week? You can reduce that number significantly by making your own at home, even if you don’t have a bread machine. 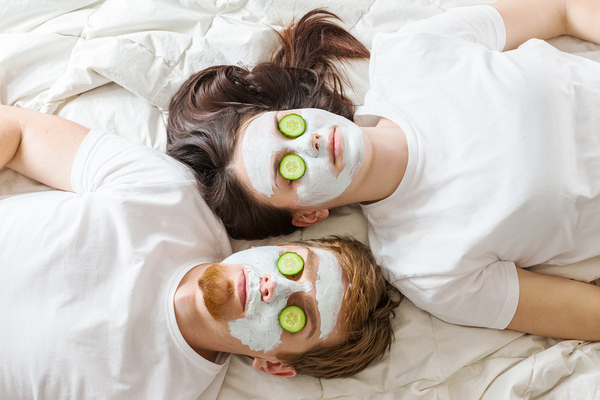 From facial masks and hair care products to household cleaners, spending a bit of time to combine some basic ingredients can save you from markups in the store. Skip the splurges and make your luxuries at home. 11. Drink Water. All The Time. Water is free, and if you’re not drinking enough of it, you’re missing out on both savings and health benefits. Drinking water all day keeps you hydrated, so your body’s systems are working at full blast, meaning you feel hungry less often and have the energy to get through your day. Add some lemon or lime to your water for something different, and serve water at all meals so your family benefits as well. While water bottles may make life more convenient, they also cost more than regular tap water, so consider purchasing refillable bottles that everyone can tote around. If you buy lunch every day at work, you’re spending more money than you need to be. Start preparing lunches at home to get healthier options at a fraction of the cost. Do you often have leftovers? Throw together a small side salad and have a full meal at the ready. Or, plan out a weekly lunch schedule using the same ingredients so you can prep the weekend before. Save eating at restaurants for special occasions – cooking at home is both cheaper and healthier. 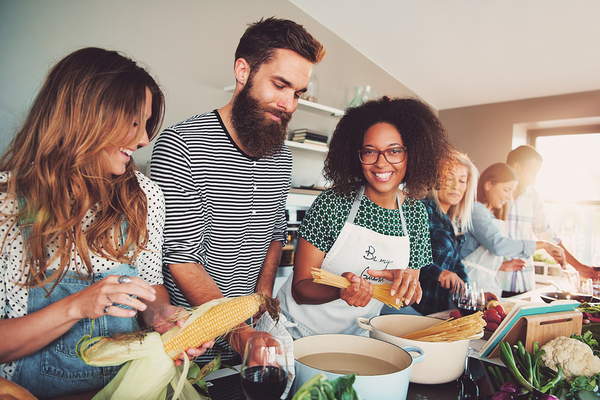 For a fun social gathering, start inviting friends over and cooking dinner together. You’ll have more help in the kitchen, so you’re not carrying the burden, and a fun source of entertainment that differs from the norm. Whether you watch a movie or simply sit around talking, you’ll find the intimate setting allows for better conversation and connection – at a fraction of the price. You don’t need to leave home to spend quality time with friends. If you love to bring gifts when visiting a friend’s house, or you simply have a lot of family close by, start making gifts instead of buying them from the store. Everybody loves cookies, and with a decorative box and ribbon, you can make yours look like they came from a high-end bakery. Get your creative juices flowing by learning to make candles or soap – a fun project for the whole family, and a handmade gift that will be much appreciated. Not to mention, you can use any leftover ingredients or items for your family, increasing savings even more. Saving on everything you buy with coupons and deals can keep your spending on track. That’s why signing up for an online deal site is important for families on a budget who don’t want to miss out on what life has to offer. Get free samples by mail and savings on everything from home improvement to travel. Plus, with a regular stream of coupons and sales available, you’ll be able to guide your shopping to the brands and stores where you will save the most. If you wake up in the morning with an inbox full of special deals from a variety of retailers, you’re at a greater risk of wanting to buy – even if you don’t need to. Instead, unsubscribe from mailing lists of stores or manufacturers where you most often spend on non-essential items and sign up for lists from those who sell the essentials. Libraries are often one of the most underused ways of saving money. Cancel your Netflix DVD subscription and pick up some flicks from the library – they offer the latest selections and have a vast network to draw upon for special requests. 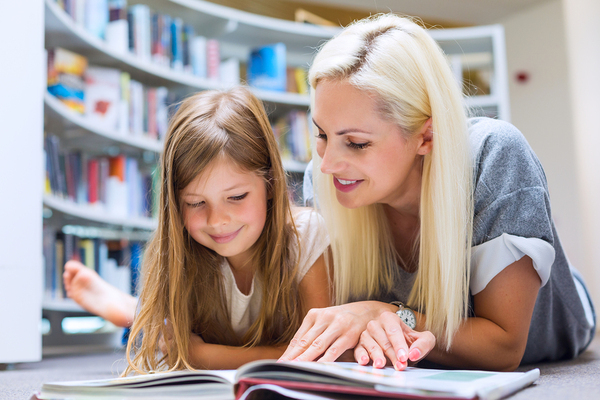 Encourage your family to start reading more – a free activity – and make a fun experience out of visiting the library for new books. Libraries also offer a whole host of entertainment and enrichment opportunities, from free lectures and classes to special events for kids. Not to mention, your library is a great resource for finding out about other free community events. Make the library your home-away-from-home. Is there a bus route that can get you to work? Or a commuter rail that is only a short distance away? Keep the car parked and seek out public transportation options that will help you save your money. Not to mention, you’ll have more time to prep for work or run through your daily activities without worrying about keeping your eyes on the road. You probably have hundreds of dollars sitting around in the corners of your house without even knowing it. Have everyone in your household get involved with purging old and unused items in every room of the home, and then see if you have enough to hold a yard sale. Just getting a few dollars for things that were once covered in dust can go a long way. Craigslist, eBay, and other sites are also a quick way to get cash for unwanted items. Even when common household devices are off, they’re still using small amounts of power – that you pay for. Get in the habit of unplugging devices and appliances (are you really using the microwave clock?) and you’ll start to see reduced utility bills.